Opt for a uniquely styled accessory to complete your look this season with the Crea Concept chevron striped scarf. 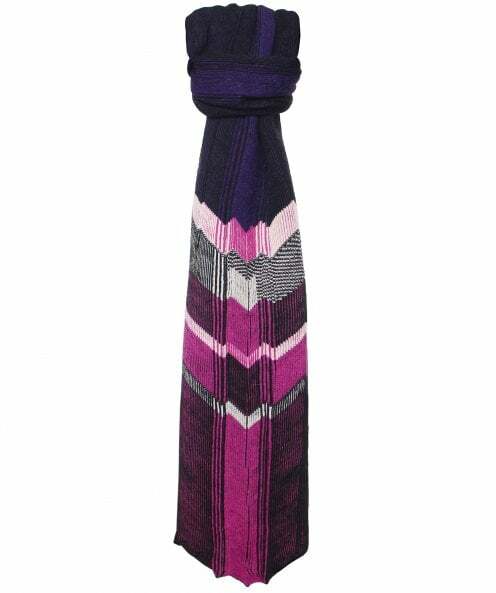 With an angular design featuring opposing V-shaped ends, this quirky scarf is sure to provide a distinctive look. The soft wool blend lends a sumptuous feel while vertical and chevron stripes in a multi-colourway complete the vibrant look.